The Huscarls are a Living History Group, based in Sydney, who re-enact Nothern Europe between the fall of the Roman Empire and the Battle of Hastings. The term Huscarl means both house karl (essentially the middle class of the period) as well as being applied to the elite warriors who guarded the Scandinavian and Anglo Saxon nobility. 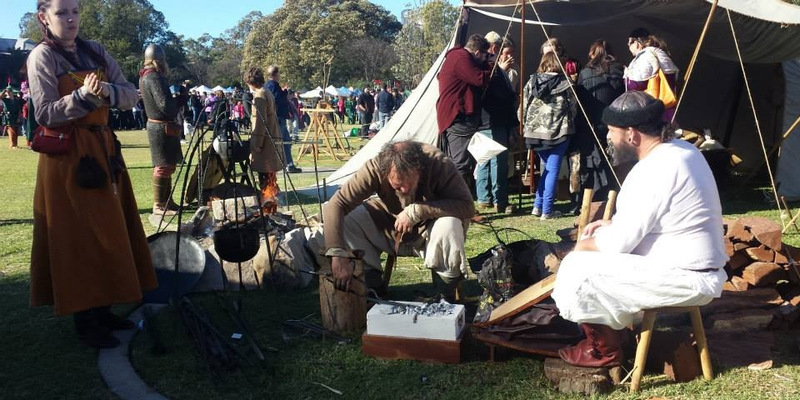 The Huscarls will be brining Blacksmiths, Furriers, a Scriptorium, Textile Weavers, Historical Cooks, as well as their namesake Huscarl warriors.